An RCM provides an overview of different control objectives that organizations should take into consideration and the corresponding controls to safeguard the company against risks which may arise if not checked timely. 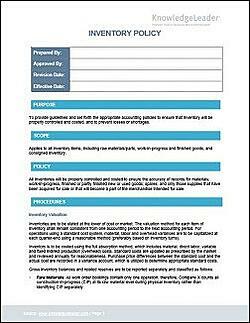 Once customized to an organization, this document can help the user in assessing each control. The control assessment can then also be summarized to develop an action plan. 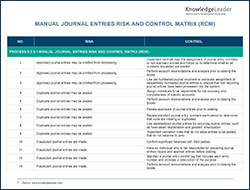 This document outlines risks and controls common to the manual journal entries aspect of the 5.2.5.1 Journal Entries process in a risk control matrix (RCM) format. On March 14, the PCAOB released a staff inspection brief highlighting its strategic focus on enhanced engagement with key external stakeholders, including audit committees. The brief is intended to help audit committees and registered public accounting firms understand and comply with PCAOB auditing standards and is useful for preparers and issuers to understand issues that impact their auditors and regulators. In this Flash Report, we highlight some of the most notable areas the PCAOB underscored in its recent brief. This sample questionnaire can be used to analyze the effectiveness of an organization's account reconciliation process. In general, an account is considered reconciled if it is documented that the account balance accurately reflects the underlying asset, liability or equity position of the company as of the reconciliation date. Specifically, an account reconciliation compares a general ledger account balance with the detail-level subledger. In this sample, the questions regarding control effectiveness test whether the reconciliation adequately explains and substantiates the entire account balance, justifies the continued existence of all items in the account, and is prepared and reviewed timely.